Acupuncture is based on ancient Chinese theories of the flow of Qi (Energy/Oxygen) and Xue (Blood) through channels or meridians that run throughout the body very similar to the nervous and circulatory system. Some experts compare these meridians to the dermatome system in Western medicine, and although the layout is very different, the idea is very similar in Chinese acupuncture. To be honest, patients are all completely different in this respect. Some report feeling nothing at all during their acupuncture treatment, while others report a mosquito bite sensation or dull, heavy ache. In most cases, although a sensation isn’t required, it is desirable. Another popular question is, “Does it work?” With tongue in cheek, we’d like to think that after 5,000 years if acupuncture therapy didn’t work it would have died out long ago! Acupuncture is the insertion of fine needles (by an ‘acupuncturist’) into the body at specific points that lie on these meridians. More specifically, each organ has a set of symptoms (Ex. headaches, insomnia, anxiety, low energy, etc) that will manifest when that organ is “out of balance”. Each organ in the body also has a meridian or pathway. Each meridian or pathway has acupuncture points that run along it. As we insert needles along these pathways, they send a signal back to the organ rebalancing it. When the organ is back into balance, those symptoms virtually disappear. 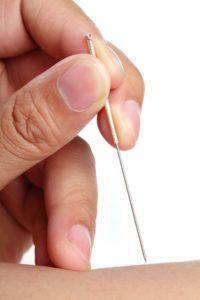 These acupuncture points have been proven effective throughout time for specific problems or diseases. In acupuncture therapy, there are no side effects. It is merely a tool to allow the body to heal itself. EVERYTHING! Because Chinese medicine is about balance, and symptoms stem from an imbalanced body, we treat just about anything; gynecology to autoimmune issues to pain management. Historically, acupuncture originated in China and before surgical steel was introduced to the world via sharpened stones and bones. Some say, these less than ideal tools may have been used as surgical instruments for bloodletting purposes initially, then progressing into acupuncture later. A major find that speaks to the history of acupuncture is the discovery of Otzi the “Ice Man”. Otzi was found in September of 1991 when an Alpine glacier melted revealing this historic mummy in the mountains bordering Austria and Italy. He is estimated to have lived around 3200 BC. How Otzi relates to the history of Chinese medicine is because of his mysterious tattoo marks. Experts have agreed the tattoo marks seen on the ‘Ice Man’ are acupuncture points that would have coincided with his ailments; they found degenerated discs in his spine and parasites (whipworm) still in his digestive system. Fast-forward to modern day America and one of the most interesting and memorable stories around acupuncture is when New York Times columnist, James Reston had his appendix removed in a hospital in China in 1971. He wrote that although the doctors did use a tad bit of lidocaine and benzocaine, they controlled his post-operative pain with acupuncture. And according to Reston, it worked! And how can we forget the man responsible for spreading the word of Chinese medicine to the people of America? Any guesses? President Richard Nixon, while he was on a trip to China he witnessed an open-heart surgery with using only acupuncture as the anesthetic agent. Otzi, Reston and Nixon can’t be wrong, can they? So, why is it so difficult for people to believe that this 5,000 year old medicine works? Christina Martin, founder of Tao to Wellness says, “I have no idea why there is still so much hesitancy, this medicine has been around for so long and when someone is in pain, depressed or having digestive issues (let’s say) I always wonder why they wouldn’t be willing to try just about anything? I think it could start with some education around the history of medicine– before the plague hit Eastern Europe—Western medicine was practiced very much like Chinese medicine, they talked about black blood, humors and the winds. After the plague hit, Western medicine was changed forever to a medicine that saved lives and that’s what it excels at. Western medicine saves lives, is perfect for emergencies and is stellar in surgeries. So, let’s say Mrs. Smith goes to the Doctor, she’s got insomnia, knee pain and is feeling very stressed lately. There’s not a lot that Western medicine can do except give her a pill for her sleep, tell her to take aspirin or an NSAID for her knee and tell her to ‘try’ to be less stressed. I know it’s difficult to understand this new way of thinking, it’s like learning how to write with your left hand after only using your right for your whole life. But consider this, Mrs. Smith has some issues, but she’s not ‘dying’, this isn’t an emergency, she doesn’t need surgery tomorrow. Now let’s consider Chinese medicine, this is a medicine that is used to keep you healthy, we are not saving lives and if someone comes to my office for a gall bladder attack, we send them right to the ER, because that’s not what we are good for. What we are doing is tweaking things in such a way to keep you healthy and save you from going down that road of disease or major illness and that’s how our medicine shines. Acupuncture treatments at our acupuncture clinic are known to be rejuvenating, replenishing and relaxing, most would even say life changing. With 20 years in practice, we specialize in several different areas, fertility, gynecology, pain management, gastroenterology, immunity and emotional wellness. We mainly practice a combination of Chinese acupuncture, with Taiwanese theory and we use Japanese needles for a softer, gentler insertion. If you have any questions at all about acupuncture or Chinese medicine or perhaps you would like to come in for a complimentary consultation to meet us and get a sense of our acupuncture clinic please don’t hesitate to contact us at 510.883.0383. We have a 24.7 receptionist that will answer and can get us messages any time of the day. We look forward to meeting you!